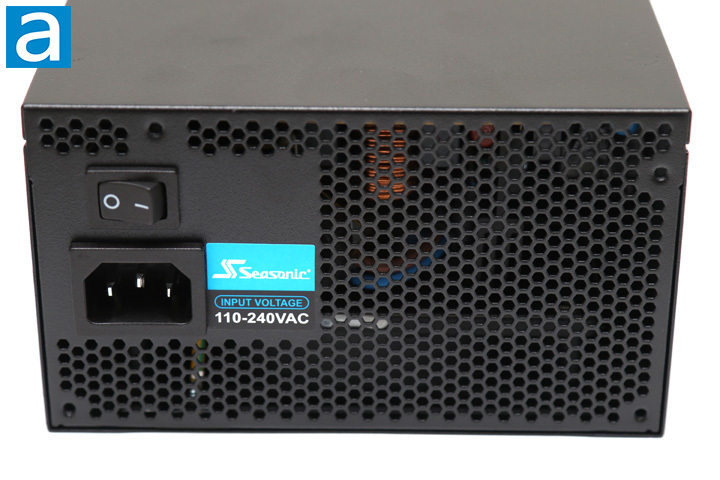 While a lot of other Seasonic power supplies have a distinct look that makes them well known, the S12III 500W looks quite a bit more generic with its black exterior. The whole shell is covered with a matte finish that seems expected for an economical unit. The top has a honeycomb vent pattern around the internal fan that allows air to flow freely. Underneath the grille, we have a 120mm fan attached to the top with four metal screws. On the top, you can see there are four screws to hold the metal enclosure together. One of these screws is hidden behind a warranty sticker, as tampering with this sticker will void the five year warranty. As for measurements, the Seasonic S12III 500W measures 14cm in length, which is quite a bit shorter than some of their PRIME power supplies. Most fixed cable power supplies are shorter than their modular counterpart, as there is no extra real estate needed for the connector board at the back. We will explore what this looks like later when we delve inside. For most mid-tower ATX chassis, this sort of length will be a non-issue. Even for smaller mATX or mITX cases, you probably will only be concerned when you are working with a media PC style of case, as even a few centimeters could affect compatibility. In the end, the result changes from case to case, so your mileage may vary. At the back, we have a pretty normal honeycomb look. The hexagonal pattern has been used in many power supplies and is found on other ventilation holes, as it maximizes airflow while minimizing air resistance. This ventilation area plays a crucial role to allowing heat to flow out the back. Most modern power supplies have an automatic full range (110V to 240V) AC line voltage selection, so there is no need for a manual switch as seen on some older units. Therefore, the back only has a power switch and a standard power input. Thankfully, Seasonic has avoided the C20 plug found on some other units, so any standard cable will work with the S12III 500W. As we have already mentioned, the Seasonic S12III 500W uses fixed cables and is a non-modular power supply. The six cable lead out location is as seen above and half of the cables are wrapped in their own mesh sleeves. 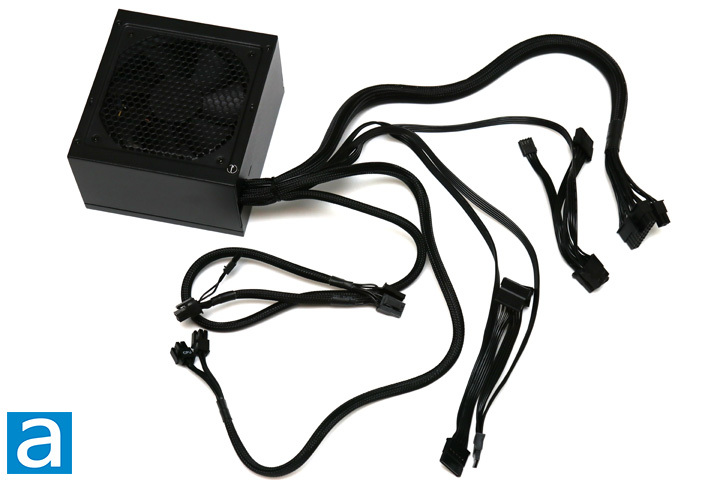 Thankfully, Seasonic has kept all of these cables fully black so we do not see any ketchup or mustard cables. While non-modular power supplies may make for a messy cabling job, especially if not all the connectors are utilized, it does mean that there is no reduced electrical contact loss at the connectors. Even so, this is not a huge issue for modular power supplies and personally I much prefer working with a modular one. External build quality of the Seasonic S12III 500W is good. Edges are polished off so they are not sharp on the fingers. 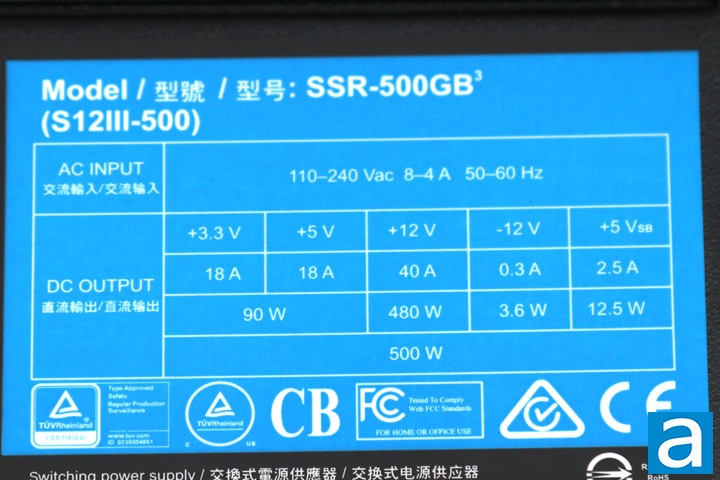 The voltage specification label for the Seasonic S12III 500W is on the side panel. There are two main virtual rails. Up to 18A can be delivered via the +3.3V rail for a total of 59.4W. The +5V rail can deliver 18A too for an output of 90W in this area. The total combined output for the +3.3V and +5V rail is 90W. In other words, your power allocation combination must fall within the limits of the listed specifications. Meanwhile, a single powerful +12V rail delivers up to 40A (480W) to reduce operating overhead compared to multiple +12V rails. 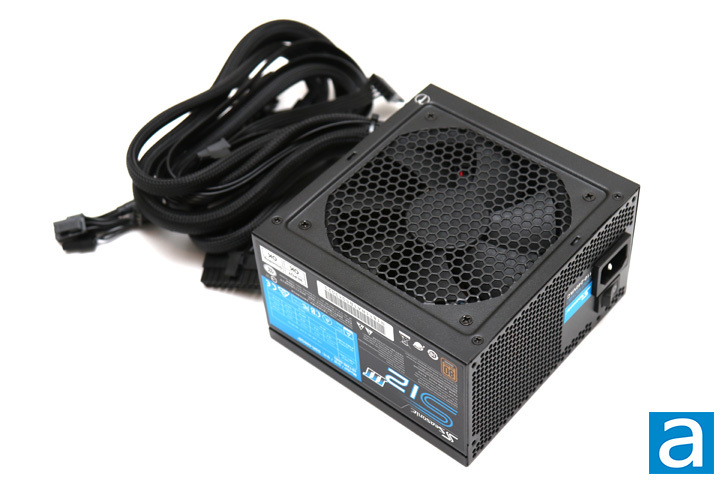 Overall, the combined power output for the whole S12III 500W is an unsurprising 500W. Again, your power distribution in your system must fall within the limits provided -- it must not exceed 59.4W on the +3.3V rail, 90W on the +5V rail and 90W combined for both, 480W on the +12V rail, and 500W combined between the positive rails. All these confusing numbers aside, this configuration allows for flexible power demands. 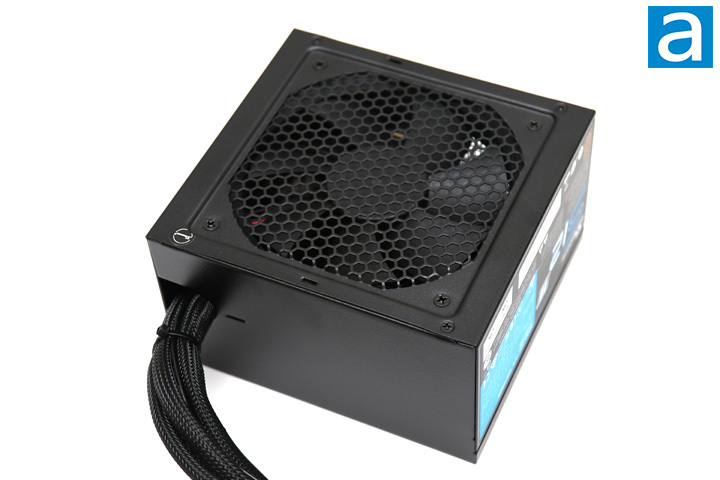 It should be sufficient to accommodate most users, and the overall distribution is reasonable for a 500W power supply. The Seasonic S12III 500W is 80 Plus Bronze certified, which means it is certified to be at least 82%, 85%, 82% efficient at 20%, 50%, and 100% load, respectively. There are definitely higher certifications for power supplies, including 80 Plus Silver, Gold, Platinum, and Titanium. All these measurements are approximate, but should be accurate measured from end to end. Most users should find no issues with these lengths if used in appropriate situations, though these cables are about five centimeters shorter than most modular cables I see. The spacing between the peripheral and SATA connections are a bit short at 12.0cm, but this should still be sufficient for cabling. I still think it is weird to see a Floppy connector, as this shape of plug has not been used in modern computers for quite a while now. I would have rather seen a Molex adapter.